Their twitter name says it all. Tiki No? More like Tiki Yes, baby! Okay, that totally sounds like something out of an Austin Powers movie (I’m ready for a sequel, btw!) and in a way, I think Tiki No is the kind of place that Austin Powers might like to visit – kitschy, retro, and with a terrific Tiki Theme carried through the bar seating and blowfish glowing lights and delicious rum-based drinks! Pal Ad-Bot recently moved to the Valley and we were excited to catch up over a Saturday afternoon Happy Hour. Our first stop at the Oyster House Saloon was a slight bust (no Saturday Happy Hour though our complimentary house-made peach vodka shots more than made up for it! 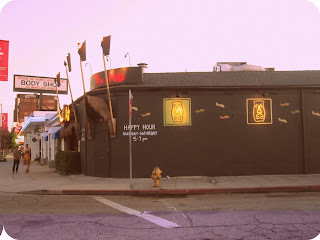 ), so we headed north on Lankershim in search of a Happy Hour. The large “5-7pm Happy Hour” sign painted on the outside wall of Tiki No beckoned us like a lighthouse in the fog (so poetic, baby!) and we quickly found ourselves inside facing a massive dilemma of deciding which half-priced tasty surfer-inspired concoction we wanted to try! When facing such a difficult, there’s only one logical answer – try everything!! So we did, ordering everything from the Zombie to the Sup to the Quasimoto and the Catnip - all costing about $6 at half-price! My personal favorite was the Catnip, a dangerous concoction of Absolut Vanilla, Malibu Rum, Cruzan Light, Coco Lopez (this is a cream of coconut product I hadn't heard of before), and Cruzan Black Strip Rum. Sweet and smooth, the cocktail is extremely potent; our bartender Chad wisely advised me to save that one later in the night. Speaking of Chad, dude is a terrific bartender who helped navigate our rum diary journey, and kept the party going after Happy Hour with their daily specials (check the chalkboard above the bar – specialty cocktails can be found at HH prices) and sharing his manila folder of local delivery menus. Finished product - The Sup! 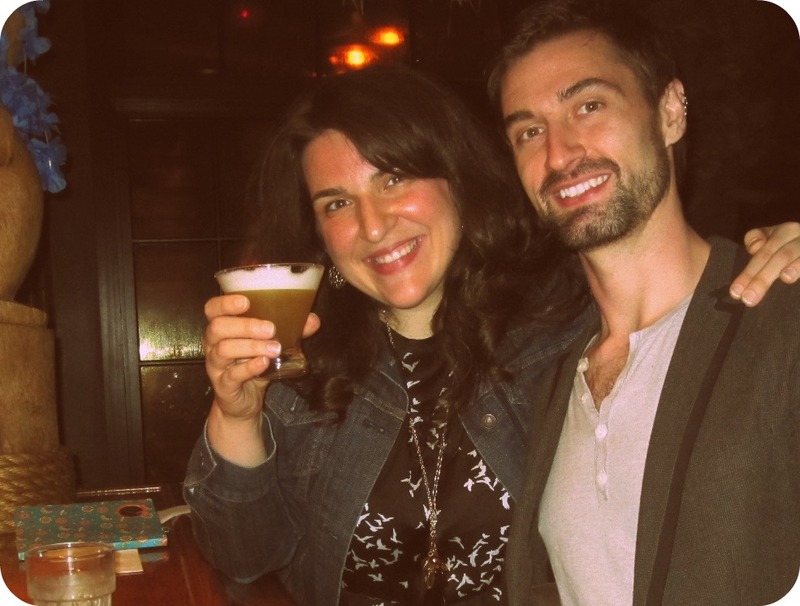 Besides Chad, the clientele also seemed cool and we enjoyed meeting Erika and Steven from San Diego, a couple that knows the key to a lasting relationship – planning their vacations and roadtrips around a mutual hobby, in their case… booze!! 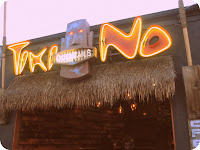 They enjoy visiting Tiki-spots on their LA-adventures and found Tiki No on Critiki.com, you guessed it – a clever little Tiki Bar review site. Love it! We also met a fun dad visiting from Wisconsin – obviously proud of his son’s work in the music biz, he asked us, “Have you heard of the 311?” Sounds like my mom! Back to the food delivery menus – that was Tiki No’s one “wipe-out” – no food. However, with delivery an option and Food Truck Thursdays (which I’m so checking out! ), Tiki No remains Tiki Yes. Smashing baby, indeed!